MANILA, Philippines – National Economic and Development Authority (NEDA) director general Ernesto Pernia recognized yesterday the need to weigh the negative impact of drug-related killings on the investment climate in the country. But he also justified the killings, describing them as a “necessary evil” in pursuit of the greater good. “We should also interview, we should also try to get the view of others who approve of what’s happening and see it as really… maybe a necessary evil that… has to happen in the pursuit of greater good,” he said. Pernia made the comment at the Palace yesterday after he outlined the top infrastructure projects of the administration. 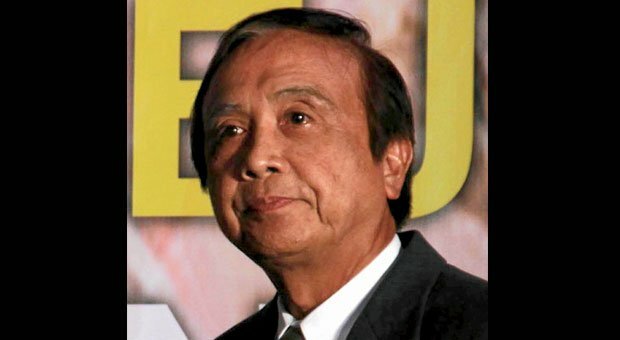 “We need to counter… the negative perception for those observing what’s happening here from afar, because usually when you are from a distance, then you see the thing is more serious than what it really is because it’s localized,” Pernia said when asked about the impression of foreign investors on the drug-related killings. Pernia, however, expressed confidence that the positive outcome will prevail over the negative publicity of the administration’s ruthless campaign against illegal drugs. “The press secretary and the presidential spokesperson, they are both working on countering this negative perception,” he added. He said the issues should be placed in the proper perspective so that it will be clear to those people observing the country from outside. “The problem is the only ones interviewed by media are those whose husband or child has been killed,” he said. “So, I think foreigners have to be informed that if they come here and they behave, they didn’t do anything, they don’t do any misdeed, then they’re safe,” Pernia said. The NEDA director pointed out that the significant decrease in crime volume will definitely impact positively on efforts to improve the peace and order situation in the country.